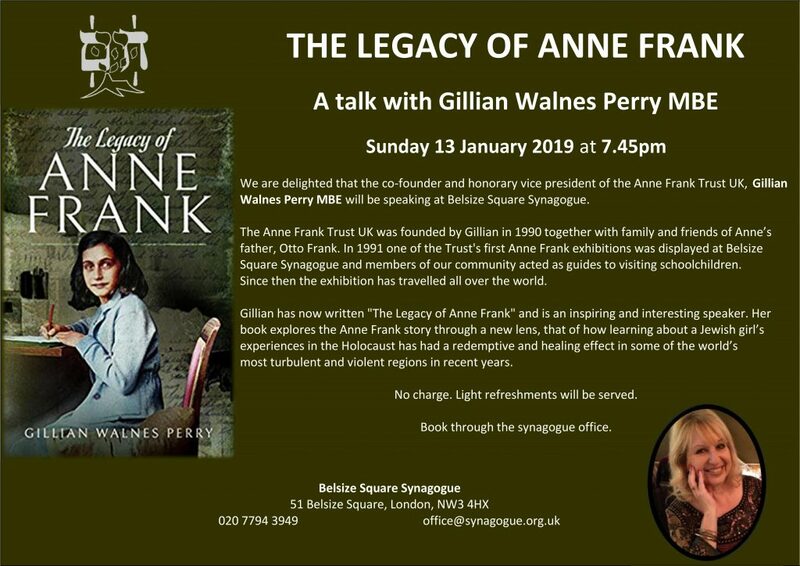 We are delighted that the co-founder and honorary vice president of the Anne Frank Trust UK, Gillian Walnes Perry MBE will be speaking at Belsize Square Synagogue. The Anne Frank Trust UK was founded by Gillian in 1990 together with family and friends of Anne’s father, Otto Frank. In 1991 one of the Trust’s first Anne Frank exhibitions was displayed at Belsize Square Synagogue and members of our community acted as guides to visiting schoolchildren. Since then the exhibition has travelled all over the world. Gillian has now written “The Legacy of Anne Frank” and is an inspiring and interesting speaker. Her book explores the Anne Frank story through a new lens, that of how learning about a Jewish girl’s experiences in the Holocaust has had a redemptive and healing effect in some of the world’s most turbulent and violent regions in recent years. No charge. Light refreshments will be served. 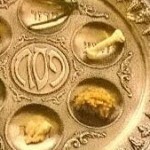 Book through the synagogue office.